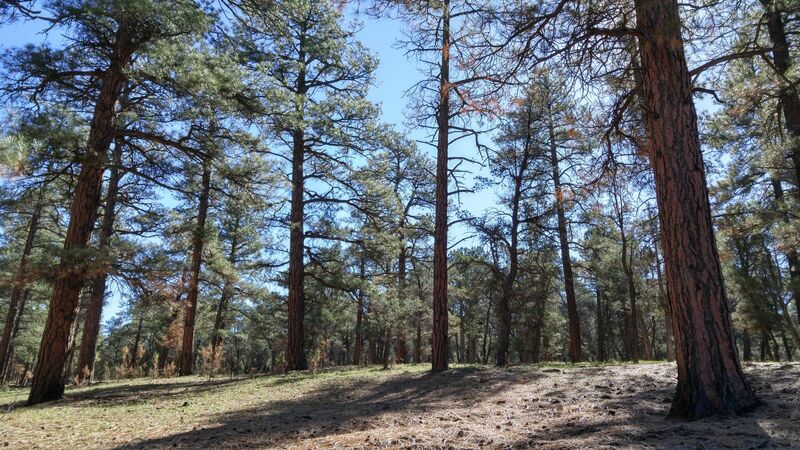 From the moment we entered the outskirts of the city and Luna saw her first ponderosa pine, she understood: Flagstaff, Arizona, is magical. 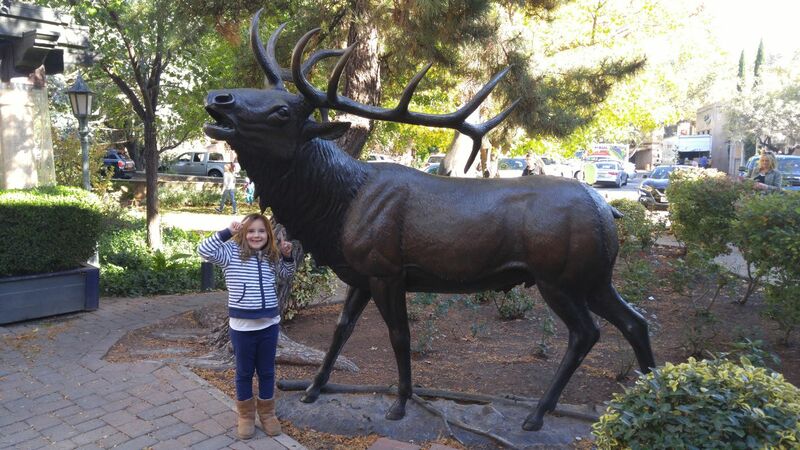 We knew that she would like it, and we were very excited to hear her approval as we climbed toward town for our first family visit in October on our way to the Grand Canyon. For the first time on our journey of a year and a half, she actually leaned forward in her seat in anticipation, taking it all in, because it was — it is — beautiful up north. Flagstaff can hold your heart; it clearly captured Luna’s. It can make you feel safe and warm, lingering in one’s mind as a place one could stay for a long time, or, as the Brits say, where one could tuck-in. I don’t know anyone who doesn’t like Flagstaff. Folks I know share a general enthusiasm for this alpine community. It smells good, all that mountain air. 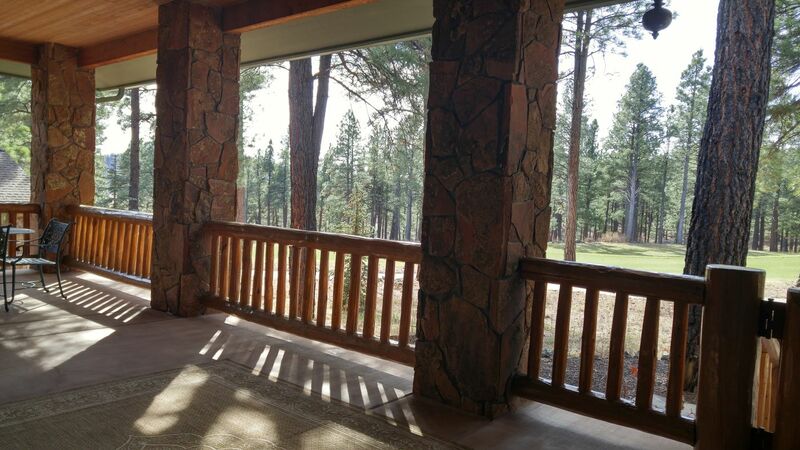 It is stunning, full of the largest swath of ponderosa pines in North America. It is fun, a playground for those who enjoy the outdoors and nostalgic trips, as well as for elk herds, which prefer an elevation of 7,000 feet or more. And it is refreshing as a mountain town: Despite some box stores now and even a little sprawl, it is easy to feel away from it all, including desert heat, urban chaos and general life noise. 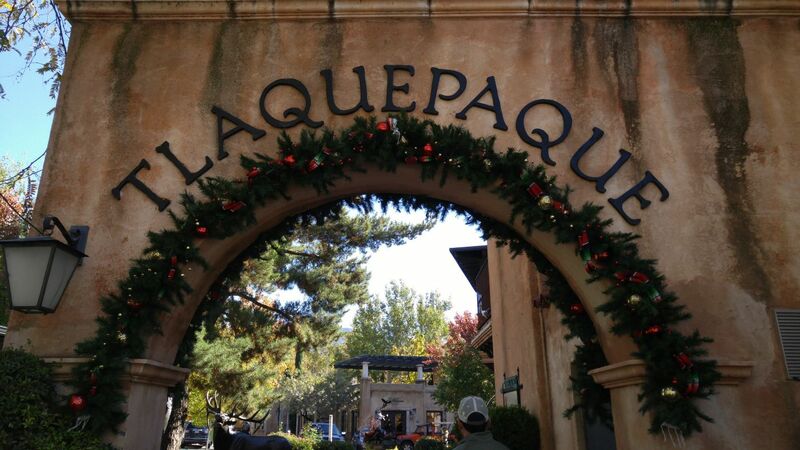 Oh, how we adore this town, so we just had to return, and we did … for Thanksgiving. 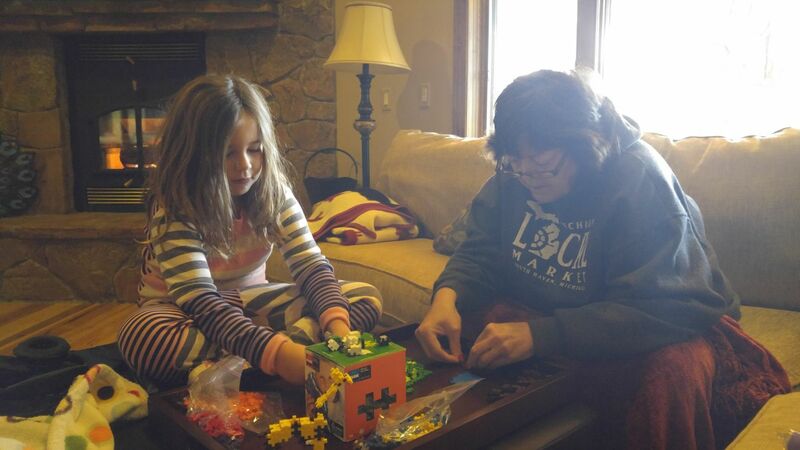 This time, we brought a companion, Scot’s mom, for a well-deserved trip with family and relaxation of the mind. And boy, did we have a good time! 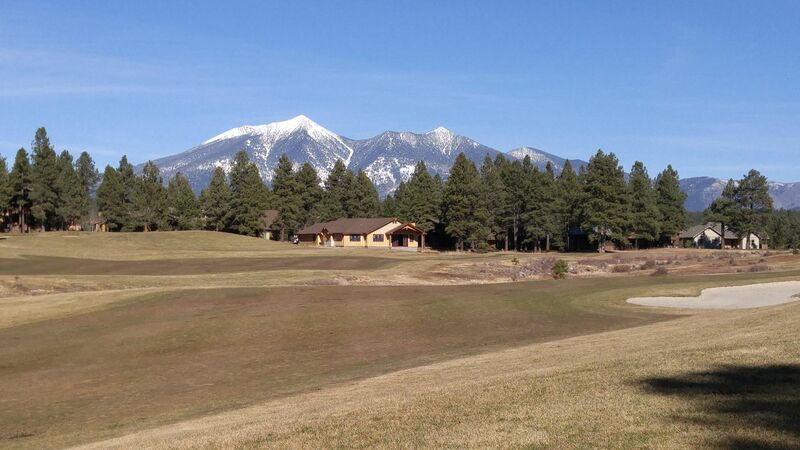 Although Flagstaff, Arizona, was established in 1876, its name was created twenty years prior to that. In 1855, Santa Fe Railroad surveyor Samuel Clark Hudson trimmed the branches off the top of a ponderosa pine and hoisted an American flag on his makeshift flagpole. 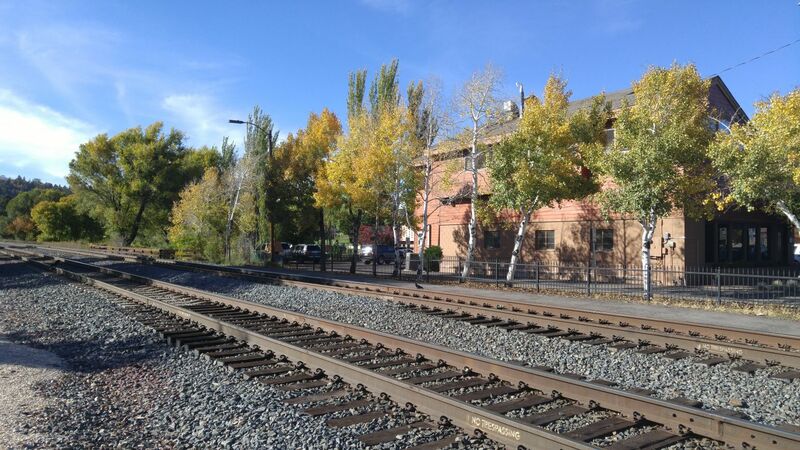 Soon afterward the railroad came, a small town emerged, and Flagstaff was born. The tracks of good ol’ Route 66. Flagstaff, AZ. Many hotels in Flagstaff maintain the old ways of advertising. Fun and beautiful. Downtown Flagstaff. 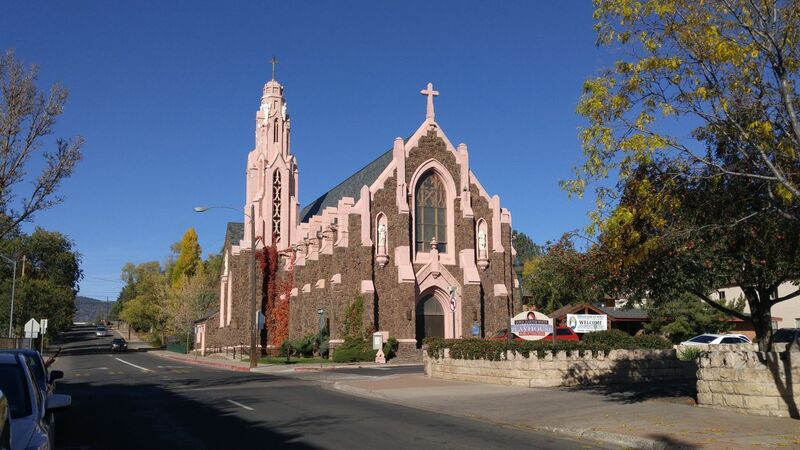 Iconic and historic (and in need of repair), the gothic Nativity of Blessed Virgin Mary in downtown Flagstaff, established 1888. 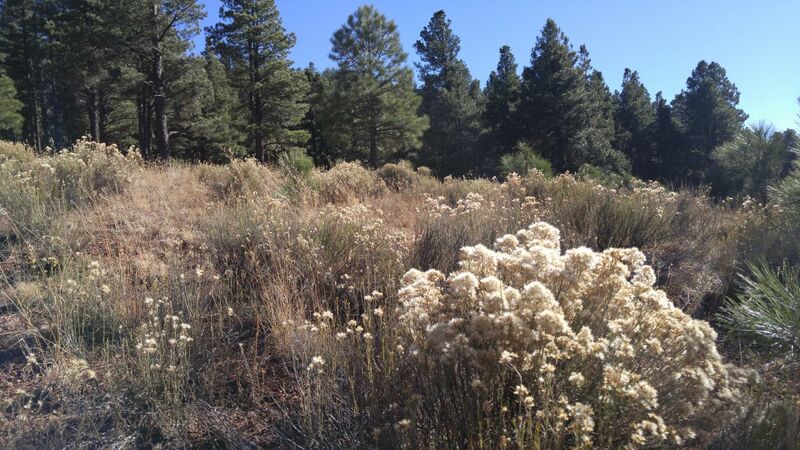 Early economies of Flagstaff included ranching, timber and the railroad, which was an important means of finding one’s way to the Grand Canyon, or across the United States to California. At one point in the 1880s, Flagstaff was the largest city between Albuquerque and the West Coast. Now Flagstaff is famous for tourism, including more visitors than ever destined for the Grand Canyon; those following the path of Historic Route 66; and outdoor adventures seeking solitude, hunting or pleasure in the nearby Coconino or Kaibab National Forests, or skiers and snowboarders headed to the great Snow Bowl at Mt. Humphreys. It is also well known for its role in science and technology, home to the Lowell Observatory; Northern Arizona University; and the United States Navel Observatory Flagstaff Station. A favorite fact is that Flagstaff has been recognized as the first Dark-Sky City by the International Dark-Sky Association as it has made efforts to “adopt … quality outdoor lighting ordinances and undertake efforts to educate residents about the importance of dark skies.” As a case in point, the growing city of Tusayan between Flagstaff and the Grand Canyon is encroaching on the south rim, threatening the southern dark sky atmosphere of the canyon. One of the things that we love about the rural desert, as well as traditional camping generally, is our ability to sit under a dark starry sky and enjoy it. This is not easy to do in metro areas like the East Valley of Maricopa County, or even in our rural RV resort with its overhead street lamps, but we are able to do so in Flagstaff, and so we are grateful. 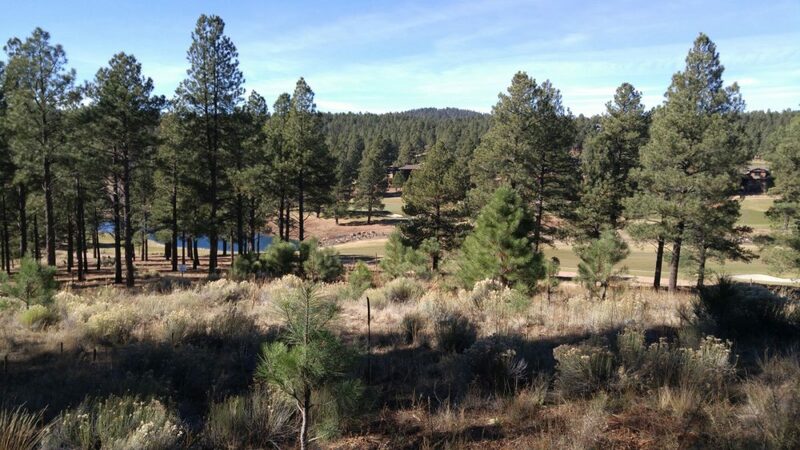 It is because of all of these wonderful aspects of Flagstaff — the history, the nostalgia, the terrain, the vibe — that we felt the need to take my mother-in-law to northern Arizona to get to know it as we do. It was also the route: We ignore the highway as much as we can when going to and coming from Flagstaff. Instead, we take the scenic biways, because there is simply so much diversity in landscape in northern Arizona that one must see it. 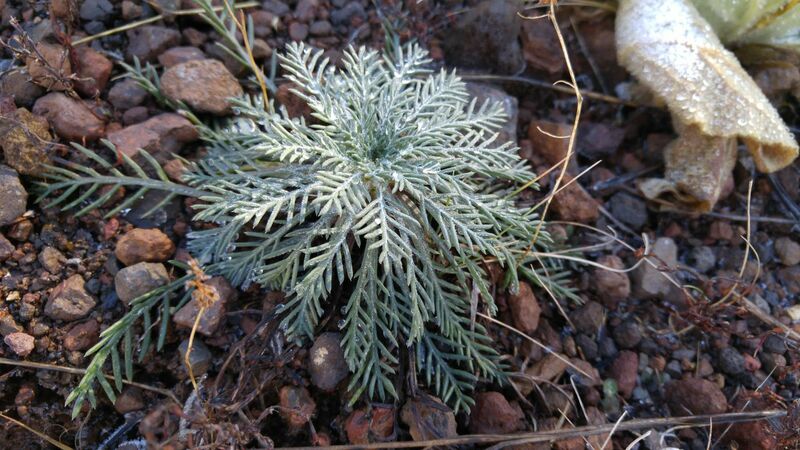 Arizona is not made up solely of scorching hot desert and urban sprawl. The north will enchant you, engulf you. We knew it could be spiritually uplifting for our whole family to return to Flag. So we began with lunch in Sedona. 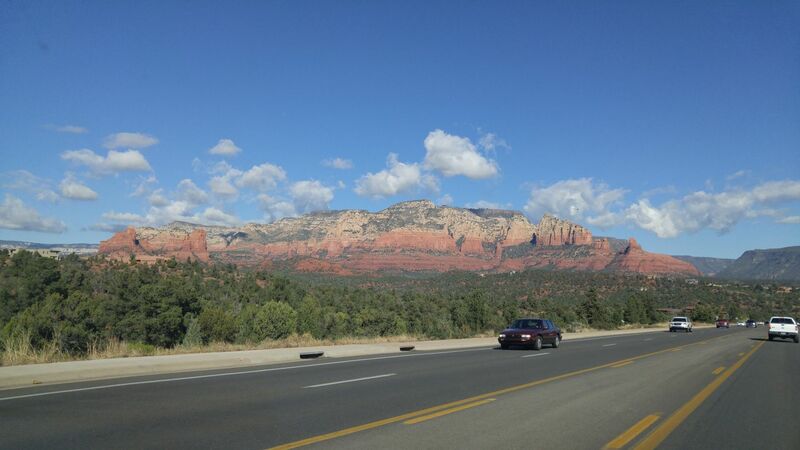 Head north on the I-17 and turn west at Camp Verde in the beautiful Verde Valley and you will find your way to Sedona, with its beautiful, bizarre and famous red sandstone formations, artsy charm and dizzying tourism. 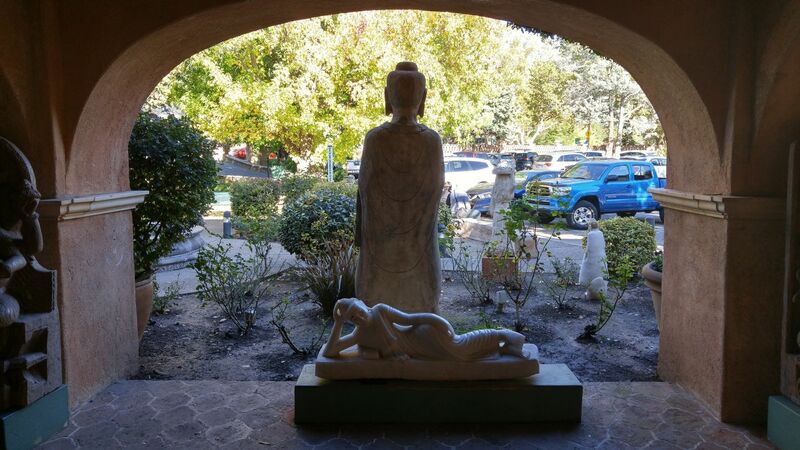 We stopped at Tlaquepaque Art Village for lunch at Oak Creek Brewery & Grill and took in some of the renown art scene there. 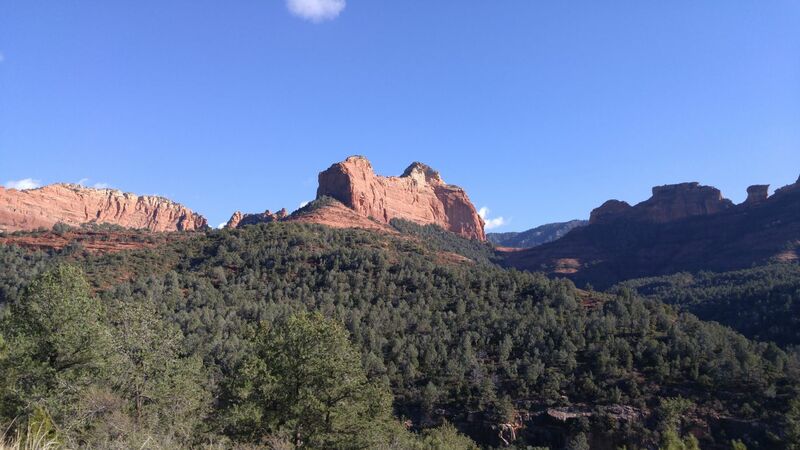 The red sandstone comes into view along Scenic Drive 179 in Sedona. 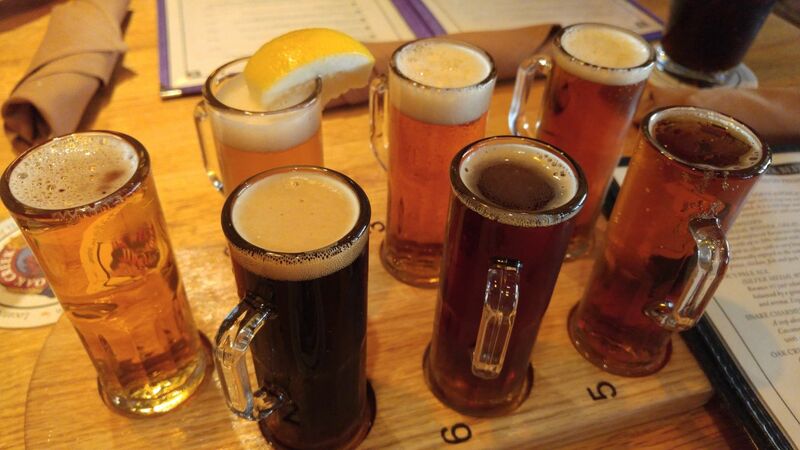 Oak Creek Brewery & Grill flight at Tlaquepaque. 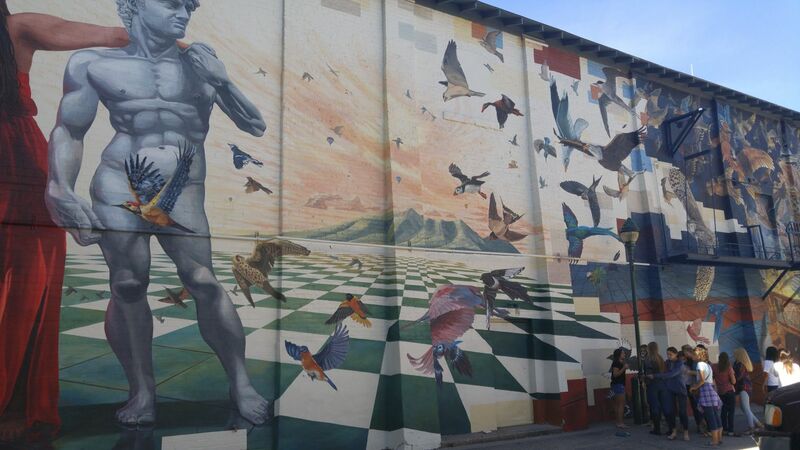 Arizona is famous for its sculptures and public art. 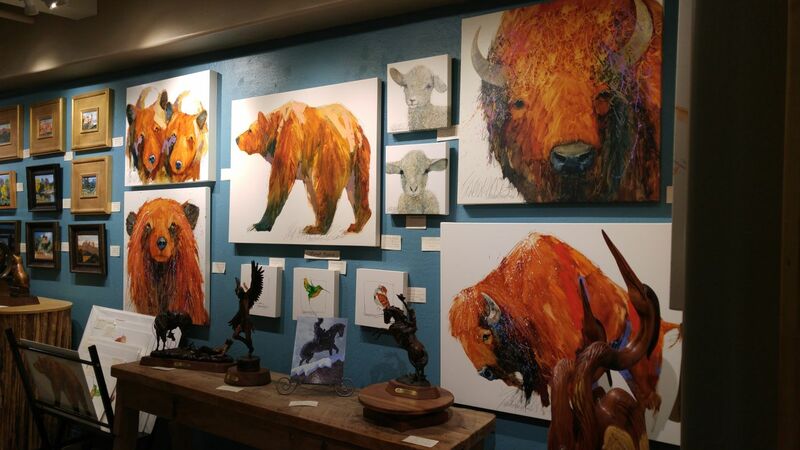 This elk by Chris Navarro stands near his gallery at Tlaquepaque. Always worth a visit. Stunning contemporary paintings at Navarro Gallery, Tlaquepaque. Always something amazing to see along the famous Oak Creek Canyon Scenic Drive. For the record, we kept our itinerary from my mother-in-law for as long as we could. She thought we were going to another Arizona mountain town for Thanksgiving. It was a fun secret to keep, until either the signs or the vistas gave it away. Finally we arrived in Flagstaff. We received a very special gift of staying at a close friend’s Flagstaff home for the holiday. Nestled in the woods, we hunkered down during the chilly days and cold nights for time spent talking, playing, relaxing and dining fireside. An excellent time and a supremely generous gesture from my friend. We loved it. A lovely view of the woods from the patio. 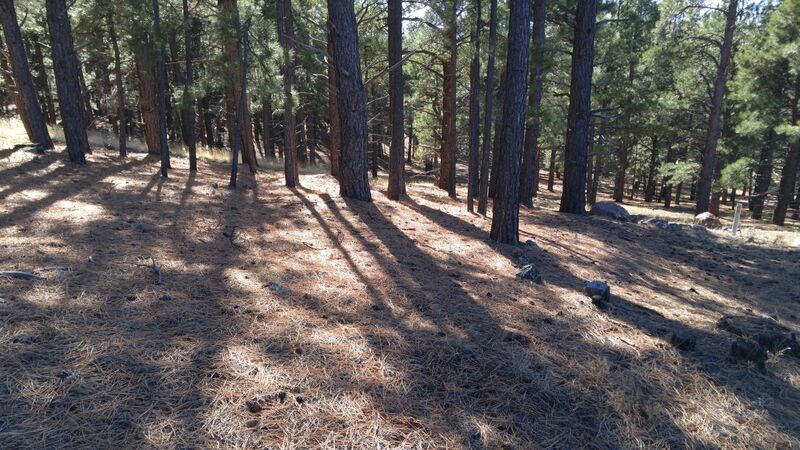 Exploring the woods in Flagstaff. Commanding and beautiful Mt. Humphryes nearby. 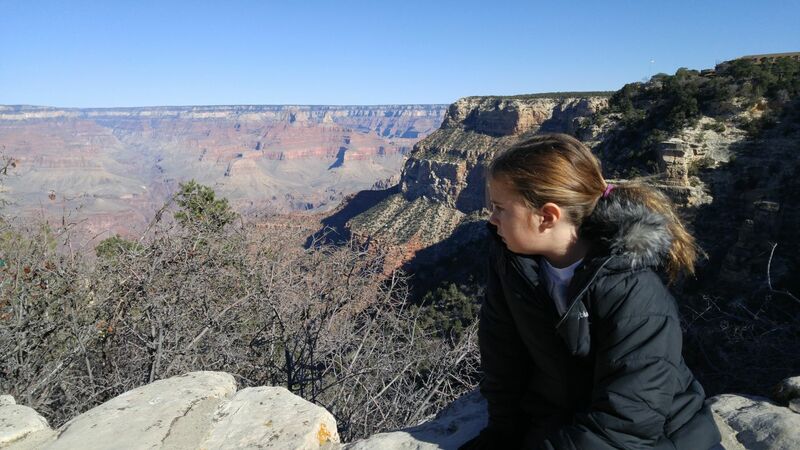 We, too, utilized our Flagstaff basecamp for a daytrip lunch adventure to the Grand Canyon, a place Scot’s mom had never seen. Despite it being colder this time and much, much busier due to the Thanksgiving holiday, we had a fun roadtrip to the canyon. A little colder, but always beautiful, Luna takes in the canyon. 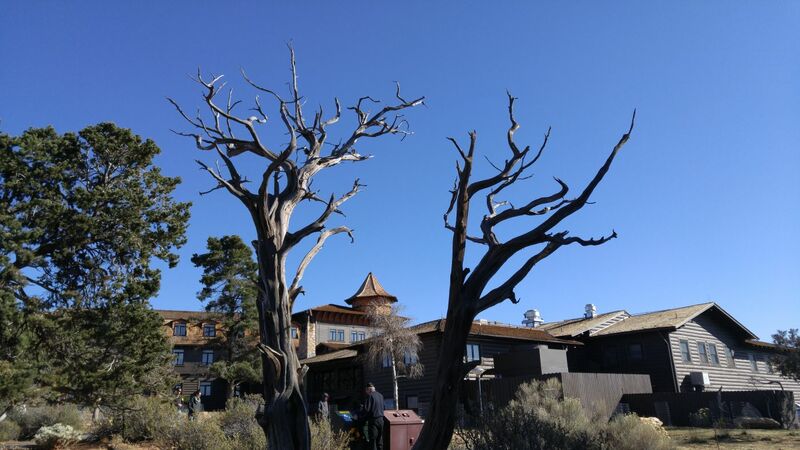 The stark contrasts at the Grand Canyon. El Tovar in the background. 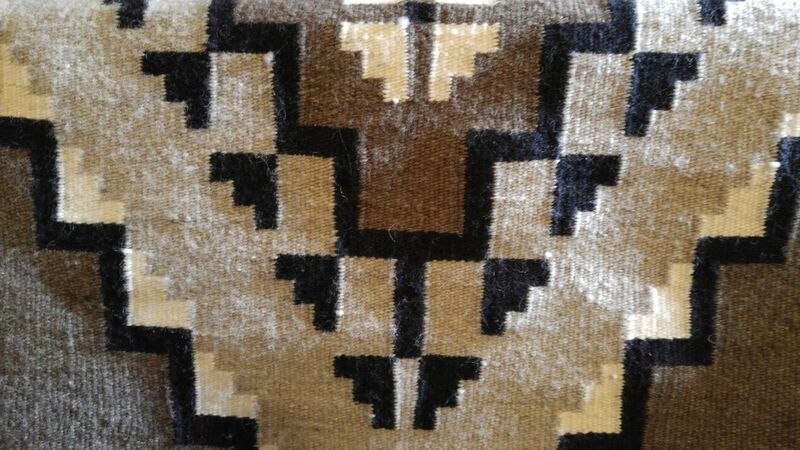 One of many Navajo rugs available at the Hopi House, Grand Canyon. 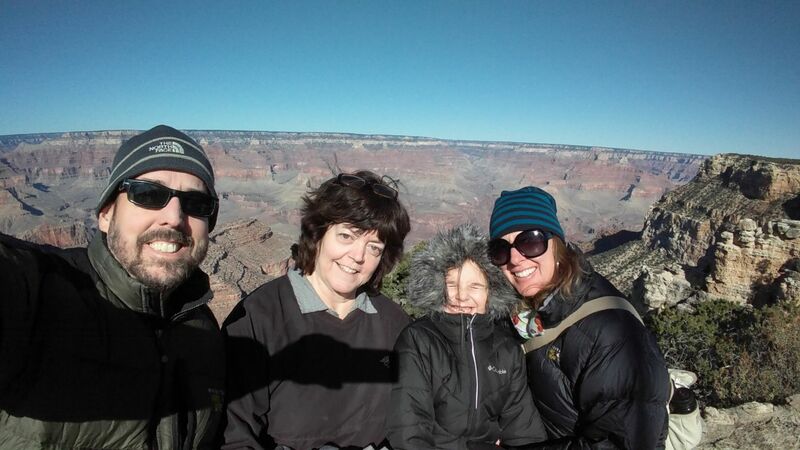 The Rumery family at the Grand Canyon … again. 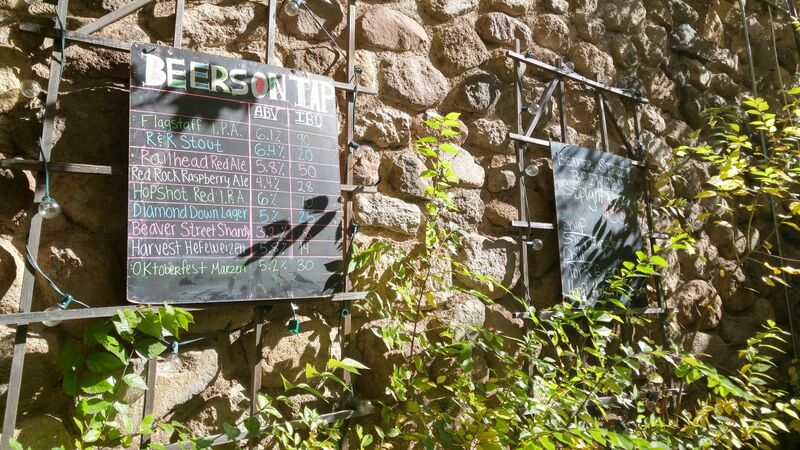 As our holiday ended, we made time for one more lunch adventure, this time in Flagstaff proper at Beaver Street Brewery. 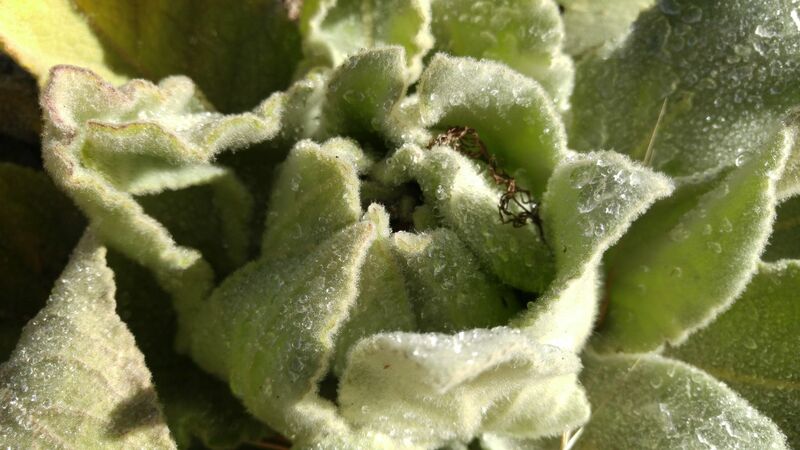 But there are many other places to see and things to do in Flagstaff, all of them offering a homey, welcoming feeling. 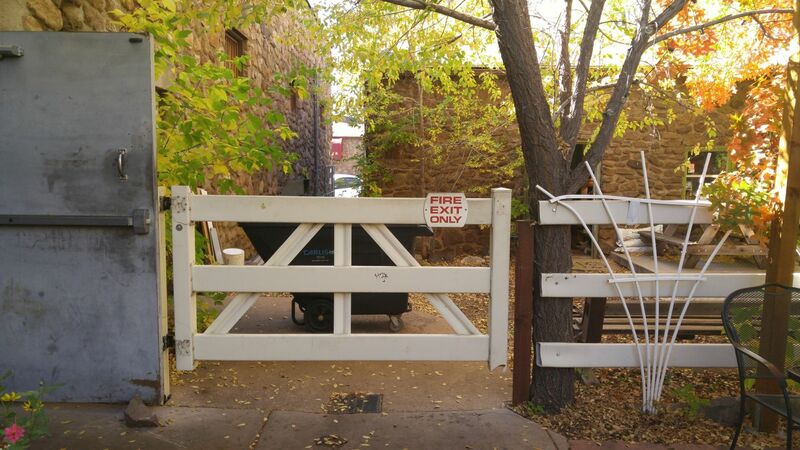 Flagstaff is simply fun and inviting. Beer on tap at Beaver Street Brewery. Patio seating at Beaver Street Brewery. NAU students gather for a photo. 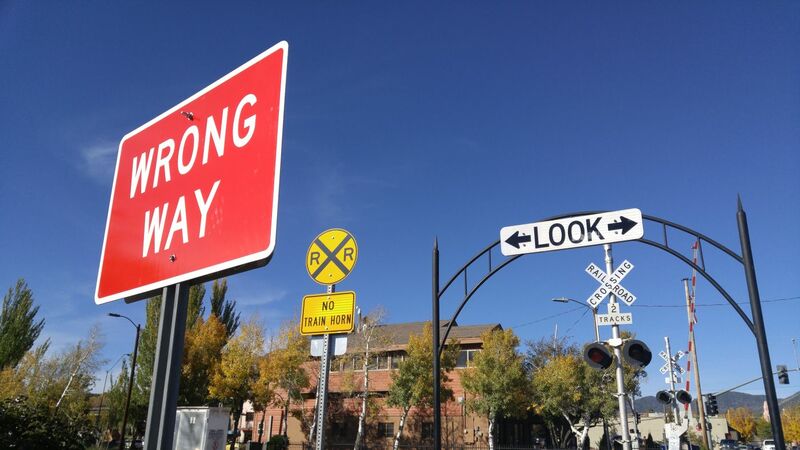 Try crossing the tracks at Route 66, Flagstaff. So, if you ever plan to motor west, travel my way, that’s the highway — that’s the best. Get your kicks on Route 66. It goes to St. Louis, down to Missouri, and Oklahoma City looks oh so pretty. You’ll see Amarillo — and Gallup, New Mexico. 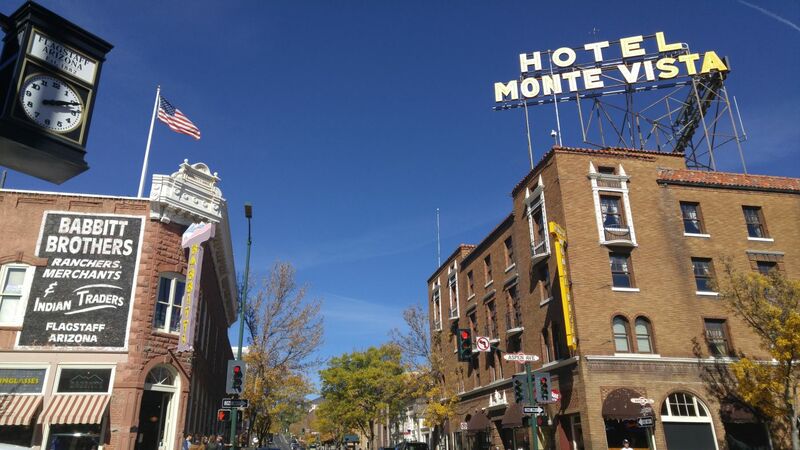 Flagstaff, Arizona, don’t forget Wynonna, Kingman, Barstow, San Bernardino … Won’t you get hip to this kindly trip and take that northern Arizona trip? The smell of the pines and fresh air will stay with you, the mountains, too. Our holiday was wonderful. Hoping to return to beloved Flagstaff soon. Nice work on this cute journey. Great scenery. Luna is growing in L & B. Hi to Scot….. Awesome pics…beautiful! Jealous of your time upcoming in LA and Cali in general. When Brandon lived in Hermosa Beach, I went and visited him and it was incredible. Miss and love you guys!! Harry Christmas, yall! !